Welcome to the four hundred and thirty-fifth of my blog interviews with novelists, poets, short story authors, biographers, agents, publishers and more. Today’s is with editor and writer Carolyn Haley. A list of interviewees (blogged and scheduled) can be found here. If you like what you read, please do go and investigate further. Morgen: Hello, Carolyn. Please tell us something about yourself, where you’re based, and how you came to be an editor. Carolyn: Hi. I’m based in the U.S., rural Vermont. I came to be an editor by way of word processing then typesetting and desktop publishing, during which I was never able to stop correcting spelling and punctuation, and questioning meaning. Eventually I learned that this was called copyediting and is a real occupation. So I took a college course to qualify myself for editorial work in the publishing industry, and proceeded to build a new career. Morgen: It hadn’t occurred to me, despite reading Stephen King novels avidly in my teens, that writing was a profession until I started writing as a hobby seven years ago… I’m still working on the profession part. 🙂 Is there a format or genre that you generally edit? Carolyn: I do most everything, still mainly in print though some e-books and web material. Slowly but steadily I’m shifting my business focus to novels. Morgen: I think I did all those, hopefully not so much now. 🙂 Do editors generally charge by the word or the hour? Carolyn: Depends on the project, and how the editor manages his / her business. I charge per-word or flat fee for novels, and usually per-page for textbooks. Again, it depends on the job and the client. Many publishers prefer per-hour and won’t pay for anything else. Part of the “it depends” factor is what type of editing is involved. Many (most?) authors don’t realize there are three categories of edit. Copyediting is essentially a mechanical spit-and-polish. It involves grooming a manuscript rather than revising content. It’s the last step before layout, after which proofreading is always needed. The next level up is line editing or substantive editing, where a manuscript is evaluated and fine-tuned at the sentence level. The most intense form of editing is developmental editing, where an editor works closely with the author to dig into the guts of the work and refine it from concept to execution. While copyediting or line editing may be part of developmental editing, they are usually separate tasks performed by separate people, owing to the complexity of a full developmental edit. All editing, however, is intended to preserve the author’s voice and make his or her work shine. Morgen: I remember crime writer Adrian Magson saying to me once about his line editing sessions with his editor and how in-depth it had to be, but as you say it’s a necessity. How much notice do you get (would you like / need) for editing a project? Carolyn: The longer the lead-time, the better. While it’s physically possible to copyedit a full-size book in a week, that allows only a single pass at high speed and invites sloppiness and errors. Most independent editors are juggling multiple projects, which prevents them from dedicating themselves to one person’s book from start to finish without interruption. So if we have an open block of time, we can take on projects and turn them around swiftly; if we have a bunch of things going on simultaneously, then a book has to get into the queue, and it can take anywhere from several weeks to several months to complete it. Morgen: You said about publishers preferring a per-hour rate, do you have much dealing with publishers? Carolyn: I work with traditional publishers, indie publishers, and individual authors. Carolyn: Hah! 99.99% of writers need editors. The remaining 0.01% possess both a talent for storytelling (or idea conception, if they’re working in nonfiction) and a solid education in craft. The latter usually comes from years of experience and training. For the majority, you can revise all you want but never step far enough away from your own work to see it for what it is, or perceive from a reader’s viewpoint; a second pair of eyes is always needed in order to achieve perspective. It’s like looking at yourself in the mirror: You can’t see what you truly look like because the image is reversed, whereas in a photograph you see your real self, as well yourself from other angles — from behind, from the side, in motion, close up, far away. An editor is the camera lens for an author’s writing. The two functions are symbiotic, not adversarial (though they can be — in which case, the author has the wrong editor). The only way to see your work clearly is to park it in a drawer for a decade or so, until you’ve completely forgotten what you’ve written and your state of mind, status in life, while you were writing it. Then, when you re-read the manuscript, you’ll get a whopping shock! Morgen: I’ve had many authors (myself included) say that when they go back to older works that they say “did I write this?”, sometimes it’s because they’re pleasantly surprised at how good it is but in the main I think at how much work it needs doing (because they’re much more practiced / skilled now). How do you edit – on screen or on paper? Carolyn: These days, almost exclusively on screen. Morgen: Do you write? If so, please tell us about that and does being a writer as well influence your editing at all? Carolyn: Yes, I write, and consider it a vital aspect of being an editor. Not only do I know what it feels like to be edited—thrilling when helpful, devastating when cruel—but also I understand the mental differences between creating and evaluating, and how they are mutually exclusive while being complementary. Writing is both an art and a craft, and you need the combo to create a work of quality and clarity. Morgen: I do both and agree. If someone wanted to become an editor, how would they go about it? Are there qualifications they can gain? Would they need them? Is there much competition to be an editor? Carolyn: Editing is an open profession — no degrees or certifications or licenses required. Since the advent of the Internet and indie publishing, the field has become overcrowded with editors of all types, from diverse backgrounds, including a high percentage of people unqualified to be there. Morgen: <laughs> From the work I edit it’s hard not to get personally involved but I take a firm but fair approach; any editor wants it to be published (if the work is publishable of course) so there’s bound to be a little piece of them invested. It’s a well-known fact that authors can win prizes / competitions – are there equivalent for editors? Carolyn: I’ve recently come aware of an award given to copyeditors but not sure what organization sponsors it and what the prize is. Beyond that, to the best of my knowledge, there is no competition arena or achievement recognition for editors. Morgen: I did a quick Google search and there are some in America (American Copy Editors Society’s Glamann, Robinson Prize and the John Murphy Award) but pretty thin on the ground, especially here in the UK. These days an editor and agent are the key people in a writer’s life, do you think agents are vital to an author’s success? Carolyn: Agents are required if you want to get traditionally published in print with a big-name house. Getting an agent depends on the quality and category of an author’s work, its marketability, and the author’s potential to produce more. Agents work on commission so they must have a product to sell in order to make a living; ergo, if you don’t offer a sellable product, there’s no reason why an agent should represent you. The rise of e-publishing and indie presses has opened doors to authors on a scale undreamed of just a decade ago. This is, on one hand, a fabulous opportunity; on the other hand, it’s allowing lots of work to go out the door prematurely. Morgen: It is and that’s the bugbear but I think reviews will sway buyers, but then Fifty Shades of Grey has had very mixed reviews but is wildly outselling everything else. What do you think of eBooks? Do you read them or is it paper all the way? Carolyn: I prefer a printed book, although I read so much that an e-reader is becoming desirable. I’m waiting for the prices to go down before I commit. I do read some e-books as PDFs on my computer, but that’s fatiguing. I’d rather have an electronic device that emulates recreational reading so you can sit back or lie down or read on a train, whatever. Morgen: I have a Kindle Touch which is not much over £100 but then technology improves all the time that whenever you buy one mine will probably be out of date. 🙂 Are you involved in any of the marketing for your clients? Carolyn: Not directly. I might offer information or point them to resources, but I don’t do any of the work for them. Morgen: I can’t say I blame you, there are only so many hours in the day. Are there any books that you’ve edited that you remember for all the right / wrong reasons? Carolyn: None stand out as great, but one definitely stands out as beyond dreadful! Morgen: Oh dear. 🙂 How important do you think title / covers are? Carolyn: I’m wrapping up a “teaching edit”, which is a sampler of all three edit types on a first novel, heavily laden with comments and queries that identify the book’s issues and suggest options for fixing them. It’s a flat-fee deal based on the assumption that the writer wants to learn craft and is prepared to do the subsequent work him/herself. Next in line is a novel for which the author wants a light copyedit only, which will be followed by a novel in another genre for which the author wants a slightly heavier version of same. In between, I have several proofreading jobs for regular customers as well as the next installment in a long-term a copywriting gig. And I’ve got to get started organizing a talk I’ll be doing in the fall at an editors’ conference: a co-presentation with one of my colleagues about editing fiction. Morgen: This is probably a silly question given what you’ve just said but do you work every day? If there is such a thing, do you ever suffer from editor’s block? Carolyn: I work daily on something or other pertaining to writing, be it revenue-based or personal. I don’t suffer any form of editor’s block, though fatigue definitely limits how much I can do in a day. But the main reason I went into editing rather than writing for a living is because I can do it reliably and consistently, whereas with writing I encounter obstacles or get derailed by mood. Morgen: Do you have to do much research for your job? Carolyn: Light research for every project in the form of fact checking. Morgen: The joy of the internet. 🙂 What’s your favourite / least favourite aspect of your editing life? Has anything surprised you? Carolyn: Favorite = I love the work; it’s always interesting and challenging, and fully engages my mind. It’s perfect for the work-at-home, freelance lifestyle, which is perfect for me. Least favorite = slogging through dreck with the clock ticking and knowing that the work will never get the development it needs and probably be published anyway. The biggest surprise has been discovering how few writers understand craft or publishing. Morgen: That’s really sad. What advice would you give aspiring writers? Carolyn: Learn craft! Learn craft! Carolyn: I’m a book reviewer and a novelist, as well as writer of articles and commercial copy. Morgen: We’ll have to have a chat again about your writing. What do you do when you’re not working? Carolyn: Since most of my life is somehow related to reading / writing / editing, my alternate activities are mainly outdoors — gardening, paddling, horseback riding, walking. Morgen: I don’t blame you wanting to get away from your screen… my dog is a great excuse for that. Are there any writing-related websites and / or books that you find useful? Carolyn: The book I recommend to everyone is Dwight Swain’s Techniques for the Selling Writer, which dissects the creative writing process into comprehensible bits and teaches how to put them together into a story with commercial potential. Other writing books I favor are Writing for Story by Jon Franklin; On Writing by Stephen King; and Characters & Viewpoint by Orson Scott Card. The best websites I’ve seen are by agents, usually in blog format. Check out Miss Snark (http://misssnark.blogspot.com — this blog has been retired but kept up for archive; it’s a humorously snarky analysis of query letters that tells a writer what s/he needs to know with no punches pulled) and Nathan Bransford (http://blog.nathanbransford.com; the Publishing Essentials sidebar is a goldmine of useful info). A non-agent query letter evaluation site is Flogging the Quill (http://www.floggingthequill.com), by editor / writer Ray Rhamey. The writers forum SheWrites (open to guys, too) contains many subgroups covering just about any area of writing you can think of. Good content and contacts here, though some junk, which seems to be unavoidable. Morgen: Thank you for those, I’ve added them to my Links page. Are you on any forums or networking sites? If so, how valuable do you find them? Carolyn: I participate in some SheWrites groups as well as a few on LinkedIn. My main activity is on the Copyediting-L and Freelance-L newsgroups. I rely on the last two for professional development and networking. Morgen: I love LinkedIn. I was getting low on interviewees (down to a week’s worth) and put a shout-out on LI and have been booking months in advance ever since (currently to March 2013! ).What do you think the future holds for editors? Morgen: Oh dear. Where can we find out about you and your work? Do you take enquiries from authors directly? Carolyn: Yes, I take direct inquiries by e-mail. Information at my website (www.documania.us) or on LinkedIn. 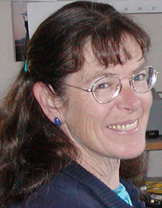 My writing website, which links to both of the above, is at http://carolynhaley.wordpress.com. Morgen: Lovely, thanks Carolyn. Is there anything else you’d like to mention? Carolyn: Professional editing is not cheap, but it’s a worthwhile investment for serious writers — and worth its weight in gold if you get the right editor for your work and temperament.